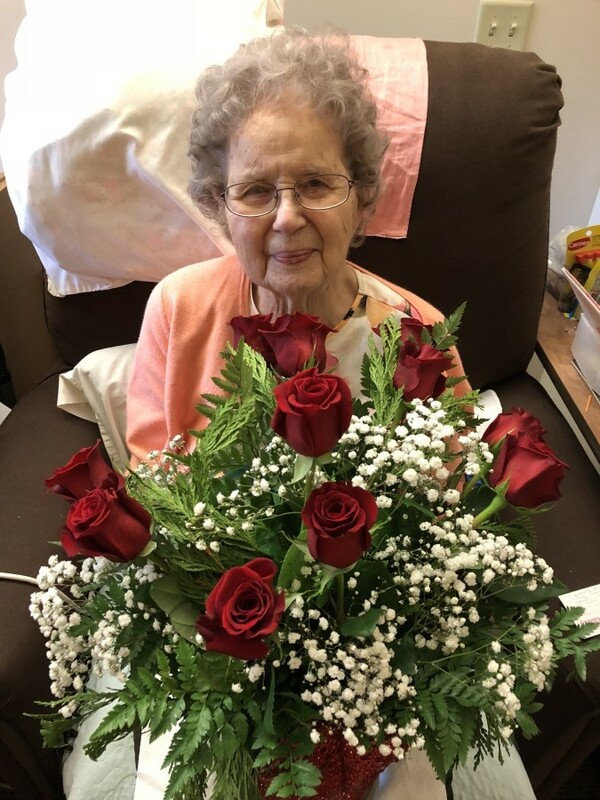 Gladys Noyes, 98 of Battle Lake, passed away Thursday, December 6, 2018, at the Battle Lake Good Samaritan Center. Gladys Sylvia Noyes was born on December 3, 1920, in Glenwood, Minnesota the daughter of Martin and Nora Marie (Dyrstad) Gorder. She was baptized and confirmed in the Indherred Lutheran Church of rural Starbuck. Gladys graduated as Valedictorian at the Starbuck High School in 1937, then continued her education at Minnesota Business College in Minneapolis. Gladys was employed as a clerk with the State of Minnesota working at the State Capital. Gladys and Howard Noyes were married on May 30, 1941, at Indherred Lutheran Church in rural Starbuck. They lived in Starbuck where they owned Noyes Grocery. Gladys worked Saturdays and stayed home with the children during the week. In 1958, the family moved to Battle Lake and purchased the Red Owl Store from O.C. Nelson. In 1963, they built a new building called Noyes Market, which is now Larry’s Supermarket. After selling the supermarket they purchased a Dairy Queen in Algona, Iowa which they operated for three years before retiring back to Battle Lake. Gladys enjoyed quilting, sewing, gardening, golfing, bowling, restoring furniture, and reading. She cherished her family, especially her grandchildren and great-grandchildren. She was a member of First Lutheran Church, serving on the Stewardship Committee, was Mission Outreach Chairperson and belonged to WELCA. She is survived by two daughters, Bonnie (Ken) Fletcher of Moundsview, Mn. and Marsha Farwick of LaHabra, Ca. ; daughter-in-law, Carol Noyes of Mahtomedi; special nephew, Mac (Janet) Gorder of LaHabra, Ca. ; seven grandchildren, Stephanie (Curtis) Lee of Billings, Montana, Rachel (Merle) Biggs of Bloomington, Kristin (Jim) Coleman of Woodland, Tx., Lia (Brian) Bush of Walnut Creek, Ca., Kelsey Noyes of Sandford, Florida, Mark Noyes of Wisconsin and Kendall (Troy) Palm of Minneapolis; eleven great-grandchildren, Lauren, Jane and David Lee, Katie and Maren Gustafson, Kaitlyn, Claire and Andrew Coleman, Gabriella and James Bush, and Skyler Noyes. Gladys was preceded in death by her husband, Howard; son, Bruce; and brother, Arvid Gorder. Memorials preferred to Battle Lake Good Samaritan Society or the First Lutheran Church. Memorial Service: 11:00 AM, Thursday, December 27, 2018, at First Lutheran Church in Battle Lake. Interment: First Lutheran Cemetery in Battle Lake.